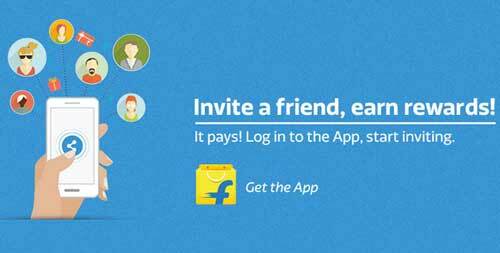 Flipkart Refer App Offer: Refer Flipkart app to your friends and earn Rs. 75 Gift Voucher. Refer this app to your friends and ask for install this Flipkart app. When any of your friends installs this app and login after install for that you will get Rs. 25 voucher. You will get this voucher of Rs. 25 when any of your friends will install the Flipkart app using your referral code. You will get maximum 3 vouchers of Rs. 25 it means the voucher amount will be Rs. 75. Check the below mention steps to get this offer. Invite your friends to install the Flipkart app. You can’t avail this offer if you have already installed the Flipkart app. You can get this voucher when your friend will use the referral code of yours. You can use this offer maximum 3 times. For more information of this offer such as terms & conditions. Check the above listed link.